Did you know that your Outlook.com has a new design? 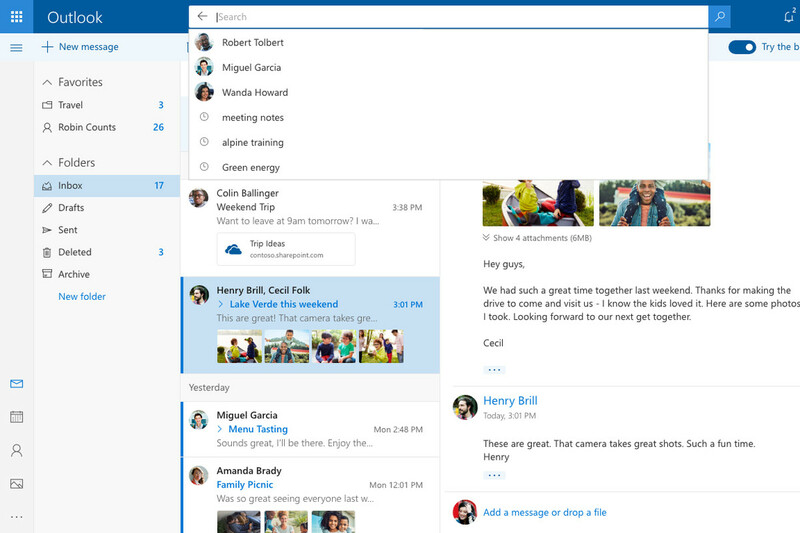 Yes, Microsoft has launched a new design of Outlook.com that introduces a new design, features and more! 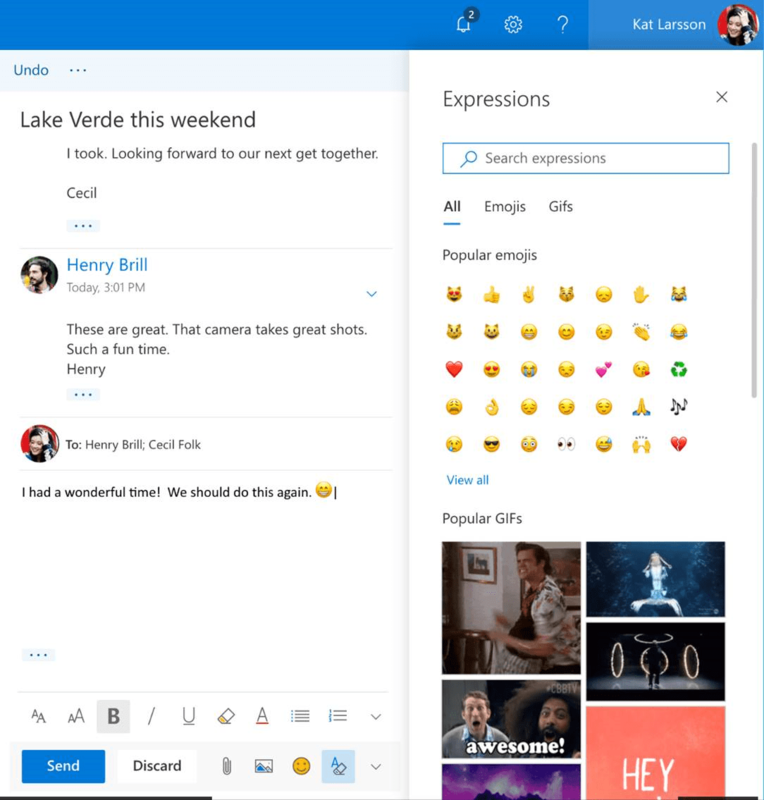 What is the New Design of Outlook.com? The launch, yesterday, unveiled a new opt-in beta program. This will give users access to a faster and more personalized email experience, as well as an overhauled design. The new version also will feature an upgraded search experience, as well as a refreshed conversations view. 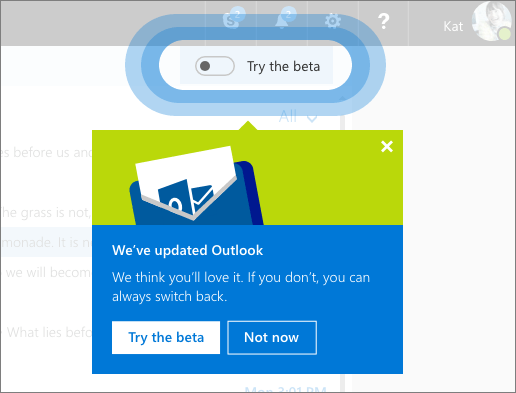 Also, the Outlook.com beta will offer new personalization options that, among other things, include the option to pin to your sidebar shortcuts to emails from specific people. 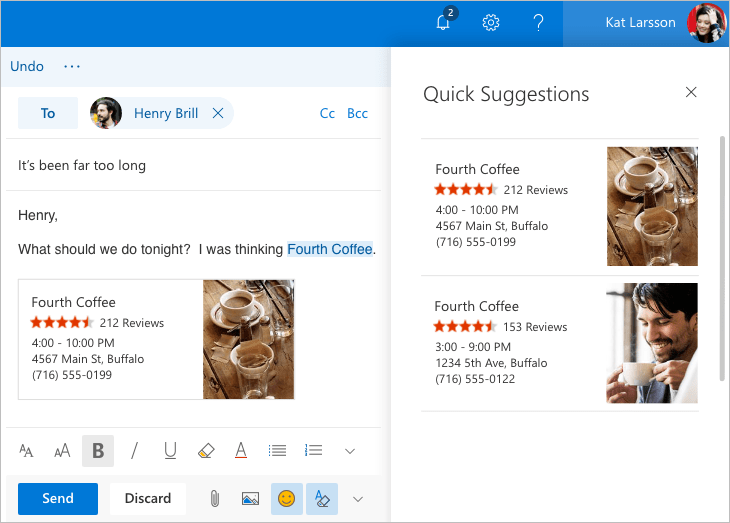 Microsoft is also making improvements to the technology behind your inbox. And will show you quick suggestions as you type. This allows you to easily add information about certain things such as restaurants, flights and more. The new Outlook.com Inbox will also group all of your incoming sent and received photos into a single spot. You can also insert expressions in the form of emoji, gifs and more easily! When will you get this Update? Over the next few weeks, the Outlook.com team will roll out to all users a new toggle for opting into the beta. Those who don’t like the new look and feel can easily switch back to the old version. If you’re eligible for the beta, you will see a toggle at the top right of the website that says “try the beta.” Switching that on will bring you to the new beta experience. If you don’t see the toggle, don’t worry, you will get it within a few days. First launched in 2012, the plan here is to test new features in this beta program. And bring to the standard version of Outlook.com those that worked out well. According to the Outlook team, the best and most appreciated design concepts will make the new look of Outlook.com.